First Minister of Scotland Nicola Sturgeon attended a signing ceremony between Chinese health companies and Scottish universities in Shanghai on Wednesday before making the trip to Hong Kong. First Minister Nicola Sturgeon officially launched a centre in Hong Kong on Thursday that is partnering with a Scottish university to promote the adoption of low carbon and sustainable technologies in the city and the Pearl River Delta, which extends into south China’s Guangdong province. The centre is being run in partnership with the Edinburgh Centre for Carbon Innovation (ECCI), part of the University of Edinburgh. This brings together governments, businesses and universities to develop and implement low carbon innovations for sustainable economic development. “This is the first education institution in the world to establish a low-carbon research and innovation centre in another country and I am delighted that it is a Scottish university that is leading the way and setting the standard,” said Sturgeon, the Scottish National Party leader and highest-ranking politician in Scotland. The centre is being hosted by the HKSTP in a partnership that is also designed to advance technologies in areas such as “smart cities”, which eye greater digital connectivity. Their goals include working to “commercialise environmentally friendly innovations, information and communications technology and material, and precision engineering,” said Andrew Young, chief commercial officer of the company running the park. “China produces 26 to 27 per cent of the world’s carbon, and Hong Kong is a key gateway, and an important centre in its own right,” said Ed Craig, deputy director of the centre. Almost 20 Scottish businesses have been brought over to Hong Kong in the past three months. They focus on areas like air pollution and the environment. Six more are due to arrive soon under the new agreement. Hong Kong businesses and researchers will be invited to work with the centre in Edinburgh, which also has partnerships with Edinburgh Napier University and Heriot Watt University, the centre said. The centre has helped thousands of small companies in Scotland to reduce their carbon footprint and create profit from waste, Craig said. This relates to the concept of a circular economy, which aims to phase out waste and shift from fossil fuels to renewable energy sources, among other changes. Craig used the example of Celtic Renewables, which has worked with the centre to produce bio fuels using two waste products from Scotland’s whisky industry that were previously dumped in the sea or on land. “They’re looking at the waste product and saying we can make a second or a third income from [it], which also makes our [main] product much more environmentally sustainable and financially sustainable,” he said. Craig identified Hong Kong’s transport system, building standards and energy consumption as ripe for innovation. Hong Kong uses 4,200 buses made by Scottish company Alexander Dennis, which carry about 4 million passengers every day, according to its website. Craig described these as “relatively low carbon” but said improvements can be made as the company is already starting to introduce hydrogen buses in Scotland. As air pollution and road congestion continue to worsen, and as private car ownership continues to rise at an alarming rate, public transport and walkability must take top priority in Hong Kong’s urban expansion. The scale of new development at Kai Tak and Hung Shui Kiu represents a tremendous opportunity to build ideal urban environments from scratch. Unfortunately, planners are squandering that opportunity. Hong Kong is a world leader in the integration of railway infrastructure and urban development, that is, transited-oriented development (TOD), resulting in some of the highest public transport ridership rates in the world. Our transit-oriented, mixed-use, highly intense urban model is unique and has helped render our high population density sustainable. So why don’t we build on these strengths? The latest generation of new towns suffer from a host of design flaws. Many of the same mistakes are being made again in new development areas. The new MTR stations in Kai Tak and Hung Shui Kiu will be set within vast plazas with no topside development. The planners behind the Hung Shui Kiu plan boast that the plaza will be lined with shops. But the proposed space measures 175 by 500 metres – about the same length as Tiananmen Square between the Gate of Heavenly Peace and the Mausoleum of Mao Zedong . A few streetside shops cannot generate vitality in such a massive space. Furthermore, residents will not take the MTR if it is not the most convenient and accessible option. Many TODs of the past have left something to be desired, but let’s not throw out the baby with the bathwater. In contrast to mixed-use, vibrant older neighbourhoods, new residential and commercial areas have been compartmentalised within an incoherent mass of dead-end streets. In Tin Shui Wai, social ills have been partly attributed to low-income residents being siloed into insular estates with little opportunity for upward mobility. Strict segregation of land use developed in the 1960s as a response to local industrial pollution. Now that most manufacturing has left Hong Kong, there is little rationale to this approach. It runs contrary to modern planning thought, which seeks to build balanced communities. Why has this been adopted for Kai Tak? Walkability, density, mixed-use urbanity, and public transport collectively form the foundation of Hong Kong’s urban sustainability. In new development areas, let’s build on our strengths; our TODs are the envy of the rest of the world. A small number of Google Street View cars are recording more than photos of the road — they’re also taking snapshots of the air quality around them. Aclima, a company that creates networks of environmental sensors, announced this week that it’s been working with Google to put air quality detectors on some of its cars. The sensors allow Google’s vehicles to pick up information on carbon dioxide, methane, black carbon, particulate matter, and other pollutants on a block-by-block basis. “We hope this information will enable more people to be aware of how our cities live and breathe and join the dialogue on how to make improvements to air quality,” Karin Tuxen-Bettman, a Google Earth Outreach program manager, says in a statement. An initial trial was run in Denver, where three cars with air quality sensors on them drove around for a total of 750 hours over the course of a month. The trips were part of a study being conducted by NASA and the EPA that’s focused on improving the collection of air quality data. Some of their findings are available on Aclima’s website. Aclima says that its Denver trial was a proof of concept that’ll help it to scale up the partnership. Eventually, Aclima says it’ll be possible for these sensors to be used “anywhere Google Street View vehicles drive.” Google will have to agree to that, of course, but the partnership seems like a smart way of getting more data out of Google’s already bustling fleet of cars. Correction July 29th, 1:55PM ET: Aclima creates and deploys environmental sensor networks. It does not create the sensors, as this story initially stated. Is E-Cig Waste More Dangerous Than Traditional Cigarettes? Tons of plastics and batteries from Britain’s 2m e-cigs are ending up in landfill, according to waste management company Business Waste. The company says that the products produce just as much “dangerous” landfill waste as the tobacco products it replaces, after finding a steep rise in vaping-related products being sent to landfill and being buried in the ground. While waste from cigarettes still makes up the vast majority of smoking refuse, with hundreds of millions of butts and their pollutants being discarded every year, the steep rise of vaping as a so-called “cleaner” alternative is causing concern, the Business Waste company says. According to YouGov statistics, there are 2.1m e-cigarette users in the UK, who are either regular users, or are using the devices to help give up smoking tobacco. The use of e-cigarettes as a means to give up smoking has now overtaken other methods such as nicotine patches. This means that waste from e-smoking has increased steadily in the last two years, with a majority of the refuse being sent to landfill. The market for e-cigarettes was worth £90m in 2014. While this figure is growing rapidly with hundreds of shops and websites catering for customers’ needs, the UK tobacco market is still worth billions, though declining slowly. There’s little guidance on disposing of electronic cigarette waste ethically, Business Waste says. Hall says that although amounts of electronic cigarette waste is still relatively small in relation to the tons of cigarette waste handled every day by the waste industry, but it’s of a very different type that can be just as damaging to the environment. He also says that chemicals used in e-cigarettes are also ending up in landfill, and they could prove just as damaging as tobacco waste. “With careful disposal, many cigarette butts can be diverted from landfill to energy recovery, where they can be burned and contribute to electricity generation. However, users don’t know how to recycle their vaping waste, so it’s slipping through the net and ending up in general waste that’s destined for landfill, and that’s something we’re keen to avoid” Hall says. BusinessWaste.co.uk says that spent batteries from small electrical appliances is one of the greatest challenges facing the waste industry, and the tons of waste from vaping just adds to the problem. BusinessWaste.co.uk is also finding whole vaping devices in landfill as people try e-cigarettes once and decide it’s not for them. While the health benefits of vaping are very much up for discussion, the same cannot be said for the risks in dealing with E-cigarette waste. As more people switch their smoking habits away from tobacco to electronic devices, there needs to be stronger guidance on dealing with the very different waste that vaping produces. “Switching from cigarettes to e-cigs switches one set of poisons for another, more subtle kind. E-smokers have to be just as careful with their vaping waste as with their cigarette butts and old lighters,” says Hall. Progress is sometimes the best means to preserve. 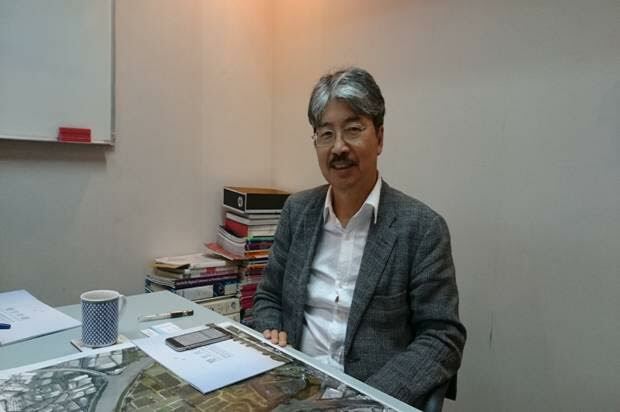 Mr Wan Man-yee, who has been the architect behind the Nam Sang Wai development plan, shares with HT his views on the project and sustainable development. 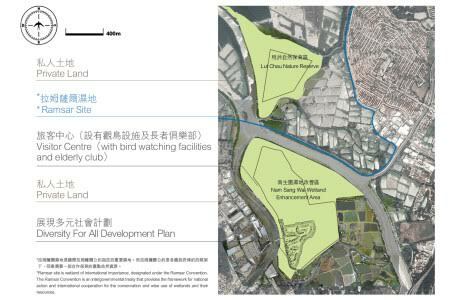 The never-ending tug-of-war between conservationists and developers in Hong Kong finds its latest battlefield in the Nam Sang Wai wetlands as the public comment period of a proposal to build about 2,530 flats in the area ended this Friday (July 24). While opposition groups have reportedly submitted more than 1,500 letters of objection to the Town Planning Board (the Board) over the past three days, the developer, Nam Sang Wai Development, is also making a case for articulated enhancement. The company is jointly owned by Henderson Development and the Fu family’s KHI Holdings Group, with the latter taking charge of the latest proposal. HT speaks to Mr Wan Man-yee (溫文儀), a prominent general practice surveyor who has overseen the project ever since its first attempt to get pass the Board in the 90s, as he explains why the reviewed proposal is able to address all questions in order to achieve sustainable development. The proposed development area consists of 179 hectares (ha) of land in Nam Sang Wai and Lut Chau. The latter, in particular, is a Site of Special Scientific Interest (SSSI) that lies within the designated Ramsar site under an international convention for wetland preservation. The current third proposal is to zone 11.6 ha of land at the southern tip of Nam Sang Wai, adjacent to the Yuen Long Industrial Estate, for residential use, whereas 140.7 ha of net wetland would be preserved. “Compared with our previous plan in 2013, the residential footprint has been reduced by 70% while the number of residential units will grow from 1,600 to about 2,530 without changing the residential gross floor area (GFA), 20% of which would become small units pending government approval to come under the ‘Home Ownership Scheme’. As Nam Sang Wai has long been a winter home for various bird species including Great Cormorants, Little Egret and Chinese Pond Herons, we have conducted thorough studies for years to map the flight paths of these birds to ensure that the settlements will not disturb their livelihoods.” Mr Wan says. The veteran project manager is also confident that his master plan will comply with all ethical standards through the achievement of ‘no net loss of wetland’ principle upheld by the Board. Developers are almost always associated with greedy landowners trying to make the most out of their conspirative schemes, whereas property development is placed at the other end of eco-preservation. The Nam Sang Wai plan is taking no less such accusations from local residents, green groups and political parties. Yuen Long district councillor Wong Wai-yin (黃偉賢) from the Democratic Party, for example, has collected 1,581 letters of objection in the last three days of the public comment period. But Mr Wan suggests these oppositions tend to be misguided. “One of the major misunderstandings is that the wetlands would be best preserved when kept idle. 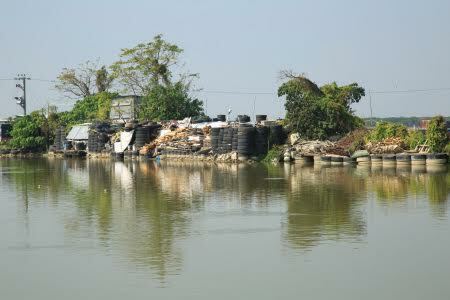 While Nam Sang Wai is indeed a rare nature reserve, it is not a pristine wetland. It is in fact a large artificial wetland resulting from agricultural development of brackish paddy fields, and gei-wei (shrimp) and fish ponds. More recently, the wetland has also fallen victim of illegal dumping, with trucks coming in and out of the supposedly peaceful paradise for bird-lovers. It has been indicated that an ecological degradation is evident.” he explains. Mr Wan, who was a member of the Elderly Commission and is now serving the Housing Authority, is also proposing the setting up of a care centre in the residential area, with a public park next to it, in collaboration with the Hong Kong Alzheimer’s Disease Association (HKADA) and the Intellectually Disabled Education and Advocacy League. That being said, whether social responsibility is more important than environmental sustainability would be another debate. The Board will call for a meeting to discuss the proposal on August 21. When asked if the developer would put forth yet another master plan with more concessions, be the current one rejected, Mr Wan says this would depend on the cost of premium to be paid for changing land use. “That being said, the current plan is able to address environmental concerns while providing housing units to people from different classes. It is not a loss of the developer but rather the society if this proposal is to be rejected.” he concludes. Leung Ka-lau attended just 15pc of Finance Committee meetings, citing scheduling conflicts with his medical obligations and filibustering. 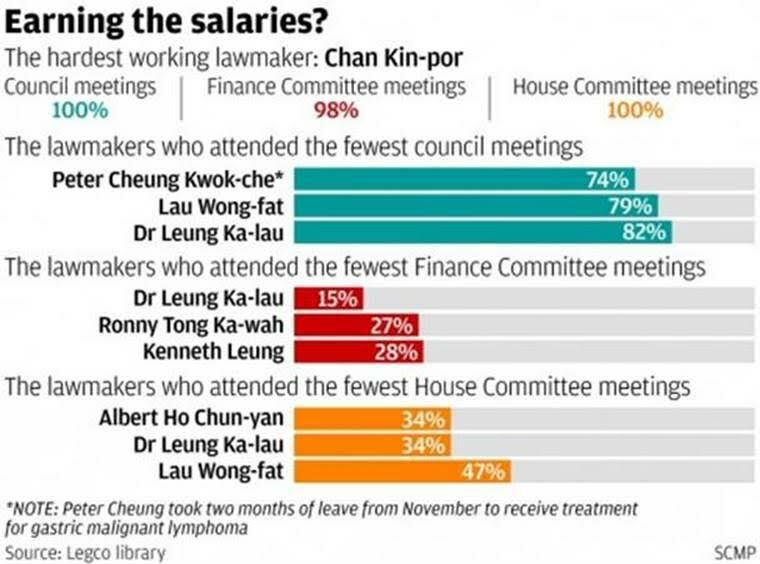 Medical sector representative Dr Leung Ka-lau attended just 15 per cent of the Legislative Council’s Finance Committee meetings last year, sparking concerns about whether he can strike a balance between his work as a doctor and a lawmaker. The surgeon and pro-establishment legislator also topped the no-show chart for Legco’s House Committee meetings, alongside Democrat Albert Ho Chun-yan with a 34 per cent attendance rate. He was also the third least active member at regular Wednesday Legco meetings, attending 82 per cent of them. The Post obtained Legco statistics which showed the attendance rates of all lawmakers at the three major bodies – the full council, the House Committee and the Finance Committee – in the legislative year that ended last week. Leung said he was usually busy meeting patients when he was absent, adding his sessions at Alice Ho Miu Ling Nethersole Hospital in Tai Po every Friday always overran, forcing him to skip House and Finance Committee meetings in the afternoon. Several filibusters – usually initiated by radical pan-democrats – were staged in the Finance Committee last year to fight controversial government funding applications for initiatives such as landfill expansion and the creation of an innovation and technology bureau. Last week, 14 extra Finance Committee sessions were held ahead of the summer recess so lawmakers could scrutinise outstanding funding requests, including one for the new bureau. The filibusters also affected overall turnout in the Finance Committee. Only 45 per cent of lawmakers showed up at a meeting held on July 17. Indeed, no lawmakers – including committee chairman Tommy Cheung Yu-yan – managed to attend all sessions held over the past year. 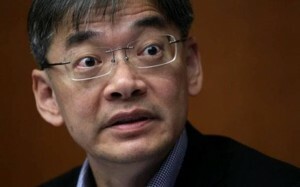 Leung was not the only lawmaker who cited filibusters as the key reason to skip meetings. Outgoing lawmaker Ronny Tong Ka-wah did the same. He came second last on the Finance Committee’s no-show list. “Requiring me to sit here all day to see lawmakers filibuster – sorry, I cannot do it,” said Tong. The senior counsel and former Civic Party member, who attended 88 per cent of council meetings, also said he had spent most of his time last year looking for a way out for political reform and had therefore devoted less time to legislative matters. Meanwhile, rural power broker Lau Wong-fat, who was the least active Legco member in the previous session, continued to have a poor attendance record. He attended 79 per cent of council meetings, slightly more than the Labour Party’s Peter Cheung Kwok-che, who was the least active member with an attendance rate of 74 per cent. However, Cheung took two months of leave from November after he was diagnosed with gastric malignant lymphoma. Lau, the city’s oldest lawmaker at the age of 78, admitted it was his health that prompted him to skip meetings. Meanwhile, pro-establishment lawmaker Chan Kin-por, representing the insurance constituency, had the best attendance record. He showed up at every full council and House Committee meeting and missed just two finance sessions. Chinese University political scientist Ivan Choy Chi-keung said lawmakers had a duty to attend meetings, and noted that it was a global trend to regard legislative work as a full-time job. Stanford chemist W.E. Moerner suggests that the world’s largest cities should take steps to reduce the impacts of global warming. For W.E. Moerner, winning the 2014 Nobel Prize in chemistry has been a life-changing experience. Moerner, the Harry S. Mosher Professor of Chemistry at Stanford University, won the prestigious award on Oct. 8. Since then, he has accepted numerous invitations to conferences around the world. Few have had as much impact on him as the Nobel Laureates’ Symposium on Global Sustainability held last April in Hong Kong. Moerner was among seven Nobel laureates invited to participate in the three-day symposium, which focused on how big cities – or “megacities” – particularly the booming metropolises of Asia, can address global climate change. Urban areas account for about 80 percent of all greenhouse gas emissions, according to symposium organizers. On April 25, the laureates signed a memorandum urging megacities in China and elsewhere to take a leadership role in combating climate change. On July 3, Moerner, Stanford physicist Steven Chu and other Nobel laureates signed a separate declaration on global warming. Both documents urged support for an upcoming United Nations conference on reducing greenhouse gas emissions. In the following interview, Moerner discusses how these efforts could influence delegates at that crucial U.N. conference. The memorandum you signed in Hong Kong calls on megacities to take the lead in curbing global climate change. That’s an intriguing approach to a problem that affects the whole planet. Megacities can deal with problems like climate change faster than large nation-states can, in part because it’s a local problem they know they have to address. There are a lot of megacities in the world today and more are expected in the future. Why was the symposium held in Hong Kong? Part of the reason is that Hong Kong is one of those megacities with an amazingly dense population that depends on remote sources of water and power. One of their biggest problems is air conditioning. Imagine millions of single air conditioners in millions of apartments. A central air-conditioning system would certainly be more efficient. Another big challenge comes from shipping, a major contributor of airborne particulates. The Hong Kong government recently decided to require that incoming ships and boats switch to more efficient green fuels that reduce pollution. That’s already required in California. The memorandum pays particular attention to places like refugee camps and informal settlements that are becoming large, unsustainable cities. That’s exactly right. The cities of tomorrow are forming right now. These informal settlements obviously have needs for basic services – power, water, sanitation. But little thought is given to global sustainability in terms of how power is used, how heat is generated, how sanitation is provided or how food is cooked. We are simply urging people to recognize this problem and support the sustainable development of these settlements as they grow. You also urge support for the United Nations-led effort to reduce global greenhouse gas emissions. Our memorandum will be presented to key stakeholders at the 2015 U.N. Conference of the Parties, COP 21, the group that’s meeting in Paris in December to try once again to see if an international agreement can be reached to limit the average global temperature rise to 2 degrees Celsius. The memorandum says, “For our part, we will use our passion and skills to support efforts to limit and manage climate change.” What does that mean for you? First, it means trying to make people aware of the memorandum. I’ve been invited to the World Economic Forum in Davos, Switzerland. I also give a lot of lectures. This is an important issue that I would like to address in whatever way is appropriate. Does your own research involve energy or climate change? Our lab has received funding from the Department of Energy to study important proteins and enzymes involved in energy storage, conversion and capture. For example, we’re looking at the behavior of photosynthetic antenna proteins in microorganisms and plants. These proteins absorb sunlight and then transfer that energy to the reaction center where photosynthesis occurs. Knowing how the proteins work at the single-molecular level could be useful information for designing artificial photosynthetic systems. You clearly have a passion for sustainable energy, from your basic research to the global scale. That’s one of the nice aspects about the symposium on sustainability. It allowed me to learn more about the bigger picture, how these things connect together on a much larger scale. It’s complementary to the laboratory work we do that’s very fundamental. Does it seem like people are more willing to listen to you now that you’re a Nobel laureate? In fact that is true, whether it’s right or wrong, good or bad. It’s one of those amazing things about the Nobel Prize: People listen to you more, so there is an opportunity to have more impact. It’s an important responsibility. Are you optimistic that the problem of climate change can be solved? There is so much intellectual creativity being directed toward this problem now – inventing new ways of making batteries, collecting energy and so forth. But it’s important that people not deny the science. I don’t appreciate those who take a cafeteria-style approach to science: I’ll take a few things but I won’t take others, because I don’t like those results. About 97 percent of scientists believe that human-caused climate change is real. There are 3 percent who don’t, and some people focus on the 3 percent. Predictions about climate change are based on probabilities. Rather than attacking this approach as a lack of knowledge, it should be understood that we’re simply trying to be careful about what we know. We just stopped Washington, DC from approving a $36-78 million contract that was awarded to Covanta to burn the city’s waste for the next 5-11 years. In a rigged bidding process, the city allowed just three incinerators in communities of color (no landfills) to bid to take 200,000 tons of waste a year. The contract was awarded to Covanta’s incinerator in Lorton, Virginia — 4th largest in the nation and one of the largest polluters in the DC metro region. Lorton is the 12th most diverse community of color in the nation, and is also home to a sewage sludge incinerator and three landfills. This is the first time we led a campaign to stop a major waste contract, and we’re excited to show that EJ allies in a major city can take responsibility and stop their waste from being burned in EJ communities. I hope to repeat this in Philadelphia as the contracts come up in the next few years for burning in Covanta’s incinerator in Chester, Pennsylvania (the nation’s largest, and a huge environmental racism travesty). Philadelphia is second only to New York in dumping on Chester. Energy Justice Network was joined by 20 other organizations in calling on City Council not to move the contract to final approval, and ultimately, our new mayor withdrew it from consideration, killing it. The city will now have to cut a 1-year contract (hopefully not with any incinerator, if we can help it). This buys us time to convince city leaders that incinerators are indeed worse than landfills and that we need to resort to landfilling as we get the city’s zero waste goals implemented, including digestion of residuals prior to landfilling. Last summer, we helped pass a law that bans Styrofoam and other food service-ware that isn’t recyclable or compostable, gets e-waste and composting going, and requires the city to come up with a zero waste plan (and I got it amended to ensure that incineration is not considered “diversion,” but “disposal”). We’re at a good crossroads in DC, where we can get the nation’s capitol setting good examples. The long-standing head of the Department of Public Works is stepping down, giving the city a chance to replace him and others anti-recycling incinerator zealots in the agency with real zero waste leaders. Any good candidates are encouraged to apply here. Special thanks to Chris Weiss, Jim Schulman, Jen Dickman, Neil Seldman, Ruthie Mundell, Matt Gravatt, Erin Buchanan, Kevin Stewart, Brent Bolin, and the following groups who all joined forces to make this victory possible: 350 DC, American Lung Association, Breathe DC, Inc., Center for Biological Diversity, Chesapeake Sustainable Business Council, Clean Water Action, Community Forklift, Community Wellness Alliance, DC Climate Action, DC Environmental Network, Empower DC, Food & Water Watch, Global Green USA, Green Cross International, Institute for Local Self-Reliance, NAACP DC Branch, Moms Clean Air Force – DC Chapter, Save America’s Forests, SCRAP DC, and Sierra Club – DC Chapter. Nearly 9,500 people died early in a single year as a result of long-term exposure to air pollution in London, according to new research. Researchers from King’s College London found the number of premature deaths caused by air pollution was higher than previously thought after taking into account the effects of both airborne particles, also known as PM2.5, and nitrogen dioxide (NO2), a toxic gas which is largely a by-product of diesel engines. It is believed to be the first time an attempt has been made to quantify the health and economic impacts of NO2, with previous studies focusing only on PM2.5. The researchers estimated the number of premature deaths associated with PM2.5 in 2010 was 3,537, while the number of deaths associated with NO2 was believed to be 5,879 – creating a total of 9,416 premature deaths attributed to air pollution. In January this year it was reported that NO2 levels in Oxford Street had exceeded the legal limit for the whole of 2015 in the space of just four days – while the limit was also breached in Putney High Street a day later. Meanwhile in April the Supreme Court ordered the government to take action to bring UK air pollution within legal limits after a case was brought by environmental law group ClientEarth. The new report, put together for the Greater London Authority, has found that most of the deaths caused by NO2 were linked to road transport and other sources from within the city, while health issues caused by PM2.5 were predominantly from particles created outside of London, including emissions transported from Europe. The Mayor of London Boris Johnson has now called for the UK government and the EU to take further action to improve air quality across Europe in the wake of the latest research. Simon Birkett, founder and director of Clean Air In London, applauded Mr Johnson “for leading the world by publishing the first estimates for the number of deaths attributable to nitrogen dioxide (NO2) as he famously did for particles in 2010” but also called for a ban on diesel from the most polluted areas by 2018. The Mayor of London’s office has said due to the fact the data is five years old, it will not include the impact of measures implemented since 2010. These include the tightening of Low Emission Zone standards, the delivery of more than 1,300 hybrid buses and the introduction of age limits for taxis. The Mayor has also confirmed the introduction of the Ultra Low Emission Zone in London from 2020. 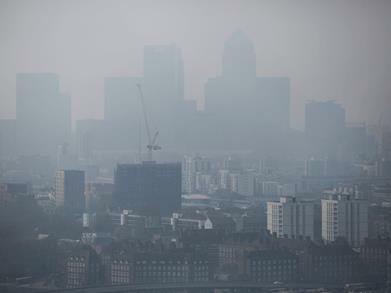 Campaigners however have said the government must do more to prevent premature deaths caused by air pollution. Philip Insall, health director at charity Sustrans, said: “The evidence of damage caused by air pollution is so damning that the Government can’t afford not to act, and act now. The government’s scientific advisors are set to warn this year that air pollution across the UK may be to blame for as many as 60,000 early deaths in Britain each year. In November The Sunday Times reported that the Committee on the Medical Effects of Air Pollutants, an official advisory body, was expected to publish a report this year showing that the premature death toll caused by road traffic pollution is around twice as high as originally thought.